A fee for Carl Mattison Design is related to Carl Mattison Design services only and is calculated on a per hour basis estimated by the anticipated hours needed for the project. All estimates are customizable for the client. $2,500 project minimum. 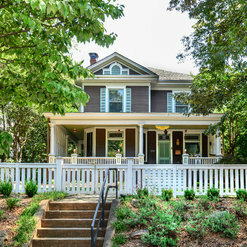 Carl's projects have been featured in This Old House Magazine, Renovation Style Magazine, The Atlanta Journal Constitution, HGTV's "Generation Renovation" and Fine Living Network's "Bodacious Kitchens". I LOVE YOU BUT GIVE ME PARK AVENUE! Carl is a pleasure to work with. He takes the time to listen and really figure out what it is your hoping for. He is always quick for ideas and is always willing to find more options. His attention to detail ensures a fantastic final project. He is very responsive and maintains excellent communication throughout the project, not just with the client but with contractors as well. Project quotes were very clear and detailed. Itemized spreadsheets made budgeting easy. Would highly recommend him for any project and hope to work with him again. Thank you Cherise. I love your family and so happy you are now in the house and settled! Happy 2019. Carl. Mattison. Design. Three words that will forever be one of a kind. Carl nailed my Boho Chic renovation dreams. Being in the housing industry myself, I held Carl to a higher standard, and he exceeded all expectations. He listened and delivered. The process was fun, and I owe it to him for making my house a home. I can’t picture myself doing a design project with out him. 10/10 would recommend. You my dear are the dream client! thank you for trusting me. 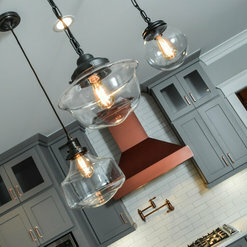 My family and I greatly enjoyed working with Carl Mattison Design on our home renovation project. Carl Mattison himself is a treasure!! We had never before worked with a designer on anything, and this was a BIG project. Carl broke it up into parts that made sense and which were much more manageable to work with. What could have been completely overwhelming became not only workable and manageable but actually enjoyable. Carl provided two or three choices for every decision we had to make, and if we didn't like any of them (which didn't happen much since he took the time to get to know us and gain an understanding of what we liked and didn't like), he willingly and with a great attitude went back to the drawing board and came up with something else. In the end, I can honestly say that we are so so happy with our new (old) home and all the choices that Carl helped us make along the way. He has great vision for what works and what doesn't. He also made the process really fun, and that is something that should not be undervalued. We hired Carl to redesign our kitchen. 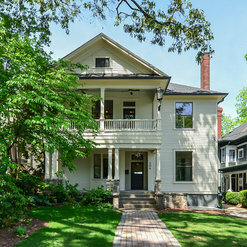 We have a turn of the century house in Grant Park and wanted a modern update that would still fit with the overall architecture of the house, and Carl nailed it. Carl was great to work with and came up with ideas we never would have thought of ourselves. We're very happy customers! 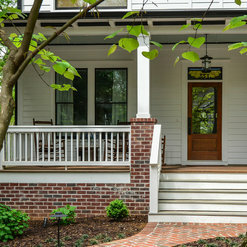 Carl advised us during our home renovation of a modest 1952 brick bunglao. 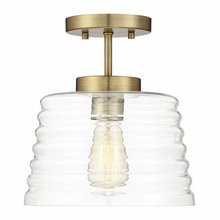 His ability to make a personal connection with us really made a difference in the overall design result. 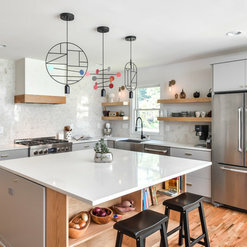 As we doubled a 1,000 sqft space, Carl helped us pick out the right lighting, cabinetry, countertop and tiles to not only suit our style completely but also create a functional and practical house. He was a great partner throughout our project! We recently moved into our new home and are absolutely in love with every room in the house! Carl is the Swiss knife of interior design and home building. You will not only love your house, but you will love Carl! I was really on the fence about hiring a designer for our remodel. I was worried about the cost, about picking the wrong person etc. 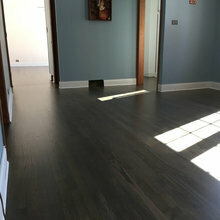 I watched a few friends DIY on their renovations (one wore out her car shocks after getting a deal on tile hours away in South Carolina) and with all of them, what they thought was going to be the most enjoyable part of the process was the most agonizing and in the end their houses lacked that wow factor they worked so hard to get. We decided to go with Carl and it was hands down the best decision we made in our renovation process. He was sensitive to our budget and when there were things we wanted, but couldn’t afford, he came up with the most amazing alternatives. He advocated for us many times if the builder made a mistake or if something was installed incorrectly; he didn’t shy away from personally involving himself to see that it came out right. He is a true professional, detailed, involved, organized, does what he says he will, on time, and a master at his craft. Not only does my house look better than I ever could have even hoped, but he kept us sane and was a guide to us during the turbulent displaced months we spent rebuilding our home. I can tell you I felt like he took care of our house like it was his own. There wasn’t a single thing he didn’t see to, and usually this went on without my knowing. He joked one day about how he spent the day texting our tile installers and then sent me a gorgeous photo of our finished tiled shower. He went beyond what we expected, and my house has that wow factor. My bathroom feels like it belongs in a luxury hotel, my kid’s bathroom is whimsical and so stylish, the paint colors are perfect and flow beautifully together and my kitchen looks like something from a magazine. I was excited about his choices when we first got started but living in this space truly has made us feel elated, and though we have only been in our house for a short time, several times a day I joyfully look at something in my home and think of Carl and reflect on how lucky I was to work with him. I simply can not emphasize enough the value he brings. Oh my! Wow. I am teary-eyed. It was a pleasure working with you and I am so glad to now call you and your family FRIENDS. Let me say at the outset I could not recommend Carl highly enough. My wife and I built a second home with a modest budget. We wanted it to look cool and hip but did not want to break the bank doing it. We found Carl on line and loved everything he touched and wanted that look for ourselves. It was by far the best money we spent. He started out with a quick interview to understand our budget and style, presented us with two different design options, offered opinions on each and came up with a final design that satisfied us completely. Also, and quite uncommon in the building industry he was on point, on time and actually returned our calls promptly, once while on vacation........and now we have one of those super cool, hip houses, thanks to Carl. Carl was the first person I hired when we began our home renovation project. He worked with me for well over a year before construction began. He helped guide us on so many non-related design decisions and was always willing to give advice. I honestly do not know if we would have completed the project without him (my husband and I both think he was the best decision we made in the entire process!) Our home is absolutely beautiful and we could not be happier with the results. Carl's design choices were spot on and whenever we wanted to deviate he was happy to help find a new option. The amount of stress that was alleviated by having him on our project is priceless not to mention he was an advocate for us throughout the renovation. We loved, loved, loved working with him and I can't recommend him highly enough. Carl was amazing to work with on our master bathroom and butler pantry design. 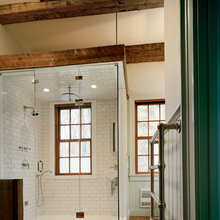 Our bathroom was a true gut job, down to the framing, and it turned out absolutely gorgeous! We had some general ideas about what we liked and wanted but never would have been able to execute it without his assistance. 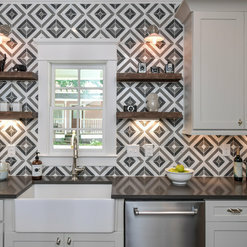 We highly recommend him for your Atlanta design projects! 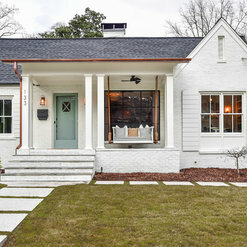 I asked Carl to pick outdoor paint colors for my dingy house - I hated the brown trim color, and I needed to come home to a happy looking house. I had picked some colors on my own but I couldn't pull the trigger so I asked him for advice. He looked online at Google maps to see my house architecture, and after seeing my selected paint samples he sent a comprehensive color plan - free of charge! The colors were along the same direction as the ones I'd tentatively selected, and his colors were even better. We used his favorite painters who did such a great job - and quickly - even my husband liked the results. And my husband doesn't like anything. Their work was professional, they were respectful and hardworking. And fast! Carl's eye and talent helped me love coming home to my happy house. Well thank you so very much for such a nice note! The house looks great! 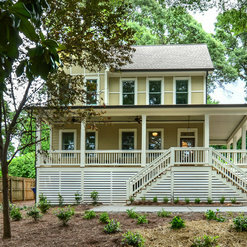 We worked with Carl to renovate and add a second story to our 1920's Old Fourth Ward Home. We were expecting our first child, and needed needed more and better laid out space but loved where we were intown. Carl worked with us from the very beginning till after we had moved in to create our dream home. He was realistic and guided us on what where we should spend our money. 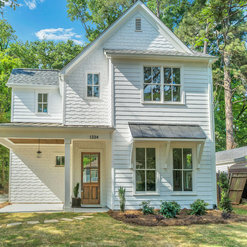 We now have a house that we can be in for decades, and fits with the fabric of the neighborhood instead of sticking out like so many new builds. The style is classic but unique, and we get compliments every time we are outside. Carl was such a pleasure to work with. 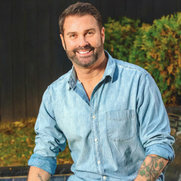 He helped us on a renovation project by designing two bathrooms as well as guiding us through various paint colors and fixtures throughout the house. 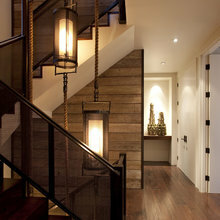 He has a great eye for honoring period specific styles alongside modern taste and practicality. Carl was fun to have during a long renovation process - the entire family including kids and doggy were happy whenever he came by! Awe Diya that is too sweet! I hope y'all are doing well! 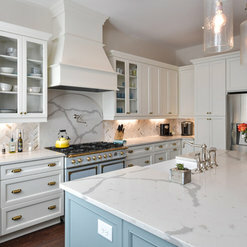 Commented: loving the graycabinets were custom and counters are pure white quartz. Commented: What stain did you use on the floor? Maybe a dark walnut?yes this was a Minwax Dark Walnut. Commented: What is the trim color?Sherwin Williams Snowbound.